In Other Sparkly Figure Skating News : Blog Of The Nation It's raining men! Loving the figure skating men of the 2010 Winter Games. 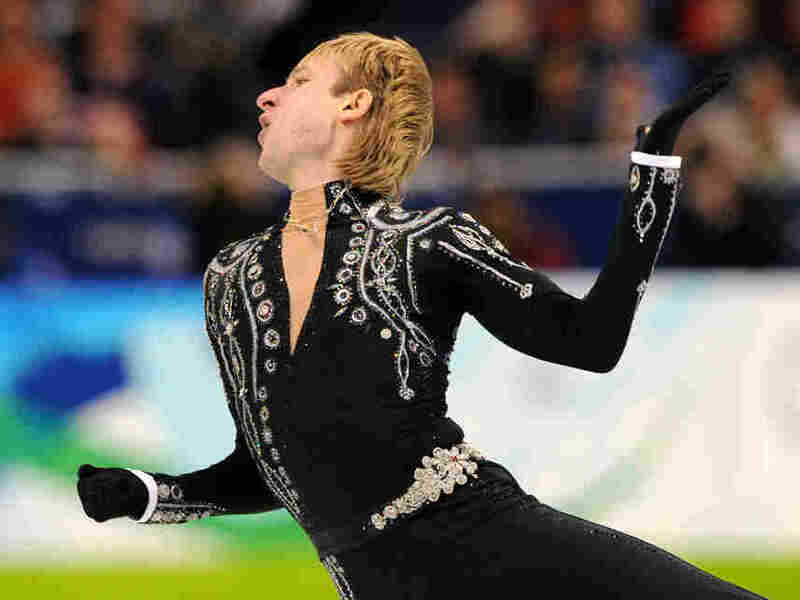 Russia's Evgeny Plushenko performs in his Figure Skating men's short program. I'm shamelessly stealing a friend's idea here -- but is it possible that the men have surpassed women (IN JUST THIS ONE WAY) in terms of athleticism and artistry when it comes to figure skating? It's not just that they can land quads (jeez, QUADS, people -- have you any idea how hard it is to spin around once let alone four times? ), but there's something about the speed and strength that also lends itself to greater lyricism? Now, I hope that the women prove me wrong next week -- and I don't need to see a quad to love them. But I just feel like the men are selling it more. Thoughts?